TEHRAN (FNA)- Shahram Amiri, an Iranian scholar who returned home after being kidnapped by CIA in Saudi Arabia last year, said that Israeli agents interrogated him while he was in the US. Amiri made the announcement while talking to reporters upon arrival at the International Imam Khomeini Airport in southern Tehran this morning. 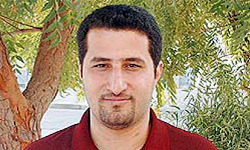 Amiri, a university lecturer, was kidnapped in the holy Saudi city of Medina on June 3, 2009 during a pilgrimage to Saudi Arabia. He was abducted by US agents with the help of the Saudi intelligence service. The Iranian scientist, who took refuge in Iran’s interest section at the Pakistani Embassy in Washington on Tuesday, left the United States for Tehran Wednesday. Amiri said he was under the harshest mental and physical tortures during the initial two months of his captivity in the US, adding that the US agents had threatened to transfer him to the Zionist regime’s prisons if he refused to cooperate with them. “I was kidnapped during a joint operation by the US and Saudi intelligence agents when I was in front of my hotel in the holy city of Medina. I was made unconscious and was transferred to unknown places first in Saudi Arabia and then in the US,” he said. He reiterated that by his abduction, Washington wanted to exert pressure on the Iranian government. 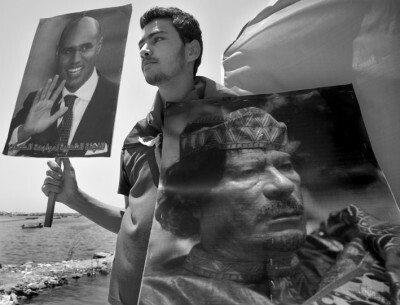 “Washington, through a political play, was trying to announce to the world that I had applied for asylum,” Amiri added. The released Iranian researcher dismissed remarks made by US Secretary of State Hillary Clinton saying he had freely come to the US and was free to go whenever he wanted. He said US officials had even offered him $50 million if he changed his mind and decided to stay in the US. “They also assured to take my family out of Iran,” he added. Amiri reiterated that he was a simple researcher and that he had nothing to do with the Natanz and Fordo sites. “I am a simple researcher who works in a university which is open to all and there is no secret work happening there,” he noted. Love Boat or Hate Boat? An Interview with IHH from Cultures of Resistance on Vimeo. IARA LEE/CULTURES OF RESISTANCE—In the immediate aftermath of the massacre aboard the Mavi Marmara on May 31st, 2010, while journalists and activists were detained and isolated from the world, the Israeli government was quick to unleash their own version of events. 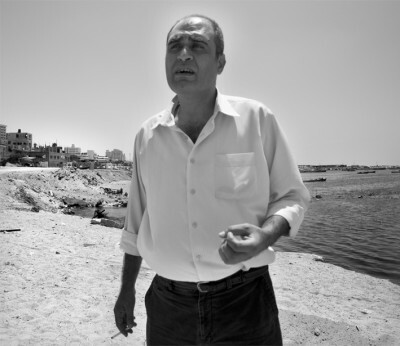 Like the physical assault on the boat, the Israeli media assault was also reckless, clumsy, malicious, and dangerous. 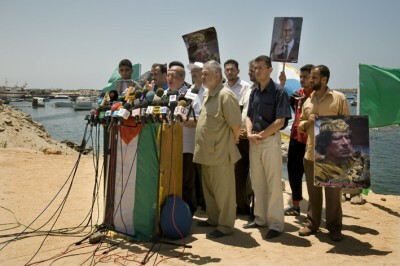 They were cynical enough to understand that first impressions in the mainstream American media are what count, and with this in mind they began to frantically hurl the word “terrorist” in reference to both the victims of their attack, as well as one of the main organizers of the Gaza Freedom Flotilla, the Turkish NGO IHH. It is a curious thing that few people asked the Israeli government why they would release “terrorists” that they had in their custody, and even fewer asked for (or received) solid evidence to support this claim. Despite the fact that several courageous journalists both in the US and abroad thoroughly debunked the Israeli account of what happened (this includes deliberately doctored footage along with the libelous accusations of links to terrorism), the damage was done. Before speakers from the Mavi Marmara were scheduled to speak in New York about what happened on May 31st, local politicians began to put forth the rhetoric of their Israeli handlers, using slanderous language to demonize the victims of Israel’s illegal act of war. And most recently, 87 US senators have urged President Obama to launch an investigation of whether or not IHH should be added to the US list of foreign terrorist organizations. I am a firm believer that actions speak louder than words, and in this spirit I thought it might help to take a closer look at IHH, and judge this group based on their actions, rather than empty words. IHH began in 1992 as a humanitarian mission to offer relief to victims injured and displaced during the Bosnian war. They have held Special Consultative Status with the United Nations Economic and Social Council since 2004, and since becoming a fully-registered NGO in 1995, IHH — The Foundation for Human Rights and Freedoms and Humanitarian Relief — has accumulated more than 60,000 volunteers for their grassroots humanitarian efforts in 120 countries all over the world. Since May 31st, the number of volunteers has skyrocketed. After the attack on the Mavi Marmara, I had an opportunity to ask the vice president of IHH, Huseyin Oruc, about accusations of IHH terror links. While he was not interested in dignifying such claims, he was very emphatic about the transparency of IHH’s work over the years, and hoped people would look at their large-scale sanitation and medical missions around the African continent — including 40,000 cataract surgeries in Sudan alone, clean water projects in Ethiopia- and IHH’s extensive work dealing with orphans in Iraq, Afghanistan, Pakistan, Bangladesh, and Gaza. While they are an Islamic organization, Oruc told me that IHH refuses to differentiate who receives attention based on religion, race, or political affiliation, and has noted their various projects in South America where Muslim populations are slight. Their modus operandi is simple and direct. Given the neutrality of their humanitarian mission, IHH has been able to access some of the most inaccessible and dangerous regions of the world to help those most in need. Like most NGOs, this means they must coordinate with local governments in order to reach these populations. So while they must communicate with the Hamas government of Gaza to help civilians there, they must likewise do so with Fatah in the West Bank, Al Shabab in Somalia, the military junta in Myanmar and so on. Oruc was adamant that this did not mean IHH endorses any of those governments, and said that anyone who cared to investigate their work would find nothing other than great successes in helping ordinary people in situations of war, poverty, and natural disasters in places such as Haiti, Indonesia, and even the US in the aftermath of Hurricane Katrina. He also told me people were free to investigate their funding, most of which comes from lower and middle class donors, while the rest is raised through food fairs, auctions for Turkish artifacts, and other cultural events. By its own mandate, IHH is not beholden to any government or business interests. We must remember that an attack on IHH is an attack on all humanitarian groups around the world. Given that IHH is among the most courageous humanitarian NGOs in the world — risking their lives to work in places like Somalia, cleaning up American messes in Iraq and Afghanistan — our politicians should perhaps be thanking them, rather than trying to tarnish their stellar reputation. Thankfully, IHH’s track record speaks for itself, as do the actions of their accusers — a comparison which does not calculate favorably for the Israeli government when asking just who, exactly, the terrorists are.